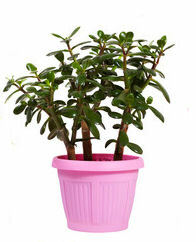 The Jade Plant (Crassula argentea) is a succulent that can store water in its thick, fleshy leaves. This ability allows the plant to survive quite a while between waterings. This delightful plant with its jade-green leaves comes from South Africa and is very popular Oriental decorating. If given enough light, the plant will produce small white or pink flowers in summer. The attractive bushlike appearance of the Crassula is achieved by branching. 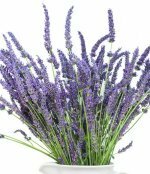 It is done by pinching off the stems just above the leaves which makes the plant bushy. This prevents the plant from growing too tall and becoming top heavy and breaking under its own weight. 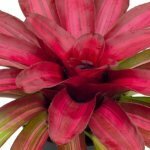 It can grow to 4 feet and be displayed as a floor plant, or it can stay small if kept in a small container. The small containers work fine because they prevent the soil from staying moist for too long. The Crassula argentea is also ideal for making bonsai and other delicate little arrangements. It is also referred to as Money Tree. Light: Medium to high light (near bright east or south window). Give the plant plenty of sunshine, you may get flowers. Water: Being succulents, they don’t need a lot of water. Watering should be done only when the soil is dry. Water thoroughly and empty excess water from saucer. This is necessary to prevent root rot that can be fatal to your plant. Allow potting mixture to dry again before watering. Over watering is the most common mistake gardeners make with succulent plants. During the winter months the plants goes dormant. Watering just enough to get the soil damp to the touch is enough. Soil: Porous potting mixture. Using soil that drains quickly (sandy, gritty soil) will work. Fertilizer: Fertilize during the growing season at half-strength or less no more than once a month. general commercial potting soil with extra sand or perlite for drainage will work also. Repotting: Repot every 2 years if plant becomes potbound. Get yourself a jade plant and experience all the wonderful qualities of this easy care plant. Plus its sculptural beauty will make a great decorative accent for your home.